Thank you, thank you, thank you. Or in other words thanks a million. 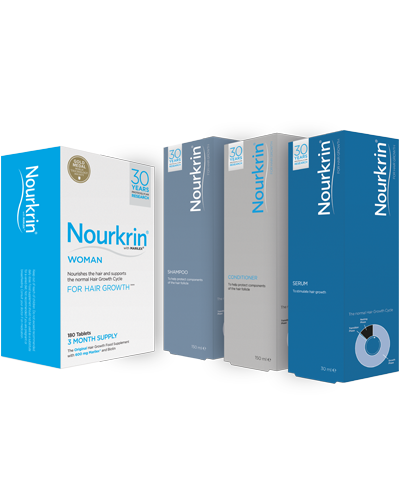 I really can’t thank you enough for NOURKRIN®. My GP prescribed beta blockers, which I duly took for 2 months, but the hair loss I experienced was drastic and demoralising. 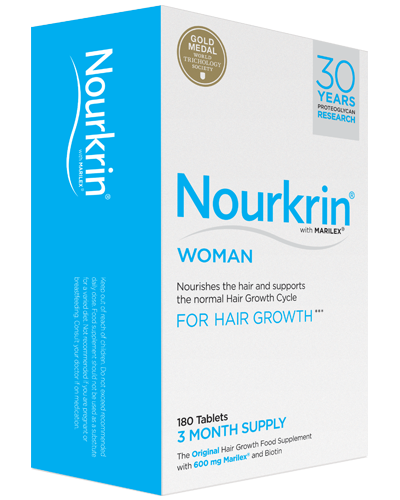 I wrote the word NOURKRIN® in my address book years ago – just in case. Never imagined I would need it – but I did. The hair re-growth is spectacular. Not only the re-growth, but the last perm I had was equally spectacular. I am so over the moon.